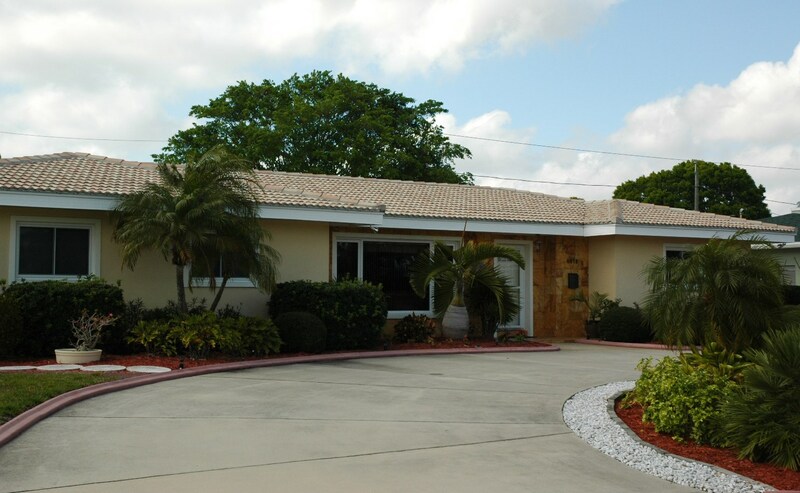 This entertainer’s delight is a beautiful and open Floridian Ranch Home with an additional 400 square feet in the Pool Room/Family Room which takes the overall living area to over 2,574! Open the oversize sliding glass doors and bring the outside in and the inside out. A view of the pool surrounded by a travertine pavered pool deck can be seen through the window just above the new under-mount stainless steel sink embedded in elegant granite countertops. There is plenty of storage in the remodeled kitchen which features custom kitchen cabinets, including an oversize island highlighting a drop-in range top making an excellent cooking pattern and space for the experienced chef. The newly renovated bath boasts a large soaker tub and current and state of the art tile work finishes. A gorgeous recently painted exterior elevation with integrated stonework and a tile roof are offset with plenty of space to provide guest parking in the circular drive, on the Travertine Paver side parking drive, 2 car attached garage, and boat or trailer storage inside of the gated and fenced yard. Let the sunshine in through the upgraded windows which have a wind rating of 125 Mph. Don’t miss the spacious drop zone as you enter the home from the garage. The drop zone is an excellent area to drop a cell phone and charge it, drop a briefcase, purse, or the many items carried if from the car. More to Follow…this web page is currently under contruction please check back frequently! Many more photos and a virtual tour will follow. In the meantime, let’s set up an appointment to view this amazing property.